My thanks to Harbour Publishing and author Robin Brunet for permission to use this excerpt from Red Robinson: The Last Deejay. “But there was also a sense that Vancouver wasn’t changing fast enough, and as intangible as that feeling may have been, it was enough to compel Robinson in early 1959 to accept an invitation from Dorothy Bullitt, the owner of a chain of US radio and television stations (including KING Seattle and KGW Portland), to meet at her Seattle office. Robinson made the three-hour drive south with his CKWX morning man, Bill Davis, and after the trio exchanged pleasantries, Bullitt got to the point. 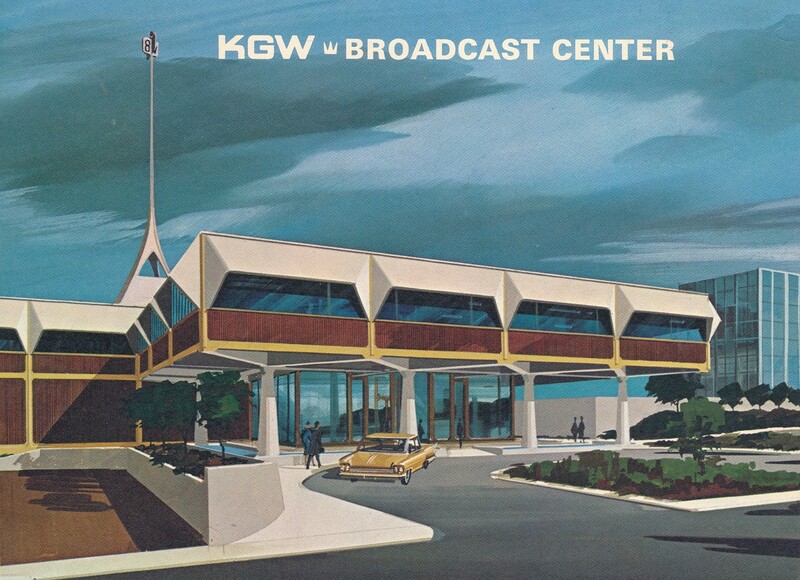 Her company was looking for radio performers for KGW because it was switching to a Top 40 format; she wanted Davis to be the morning man and Robinson to hold the afternoon shift. Robinson hesitated, mindful of his 54 percent audience share in Vancouver. Plus, he loved his hometown and had never considered leaving it. However, he had frequently guest hosted CBC’s Cross-Canada Hit Parade, and this had sparked a desire to do more television. Red Robinson: The Last Deejay is available everywhere!